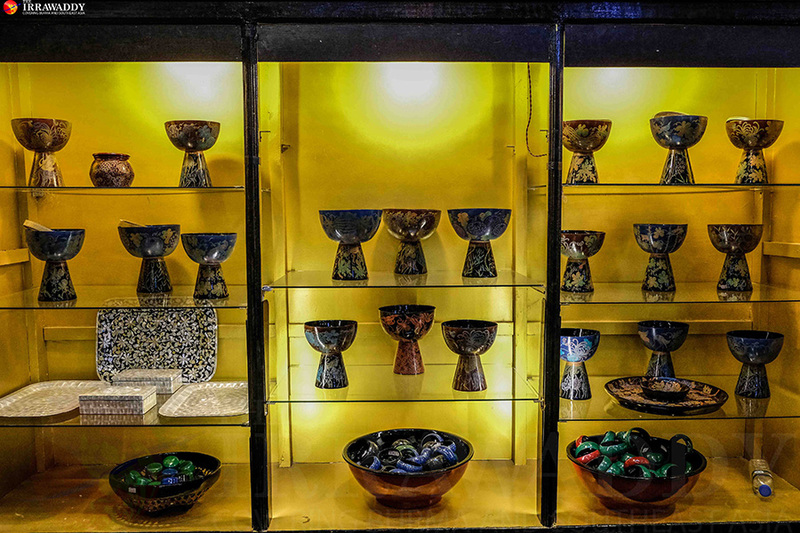 BAGAN — Traditional Myanmar lacquerware, or Yun De, is one of the country’s most famous handicrafts. 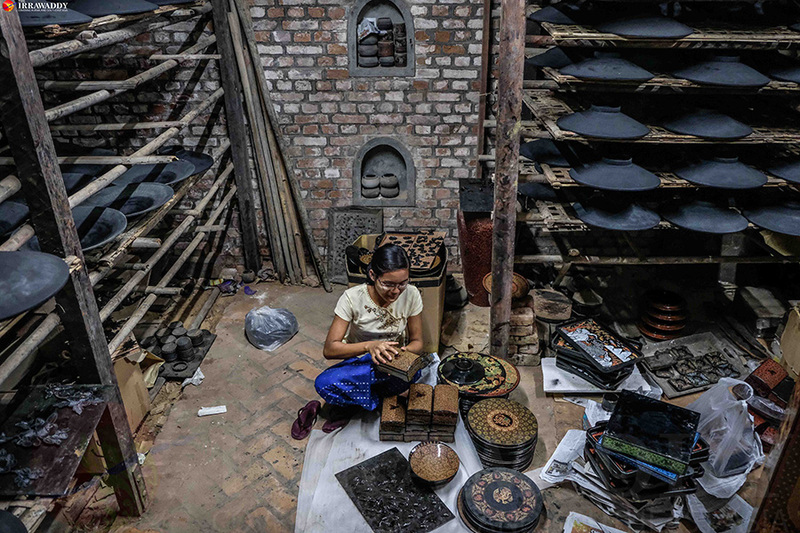 The tradition is believed to have started in Bagan in the 12th or 13th century and the region remains the national epicenter of the industry today, home to several large workshops. But local interest in the practice is slowly fading. Usually applied to wood or molded bamboo strips, the work is difficult and time-consuming, involving teamwork and many steps. 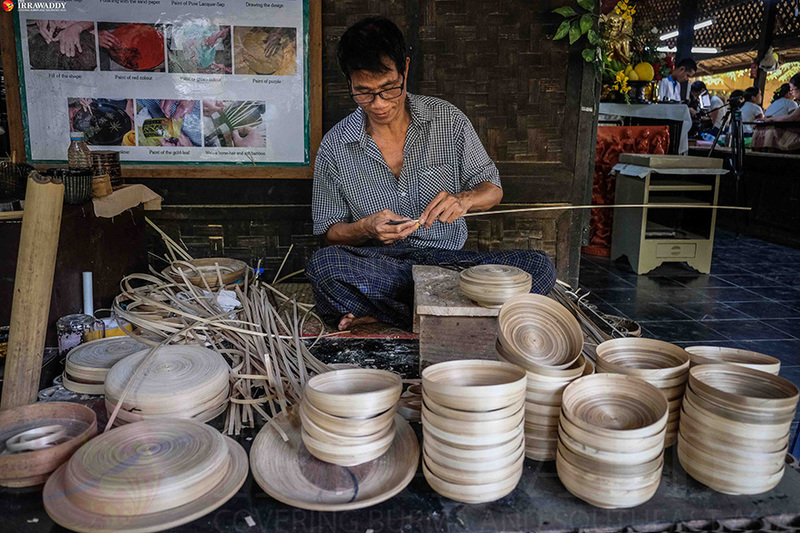 First, the craftsmen must split the bamboo and mold the strips into the desired shapes. Then they polish the shapes with a black sap from the Thit-Si tree and let it dry for about a week. They then apply a few more coats, each time adding sawdust, cotton fibers or crushed animal bones to the sap and waiting for another week. Once all the coats have been applied and allowed to dry, artists draw floral designs by hand using needles in a practice called Pan Yun. Then come the colors. 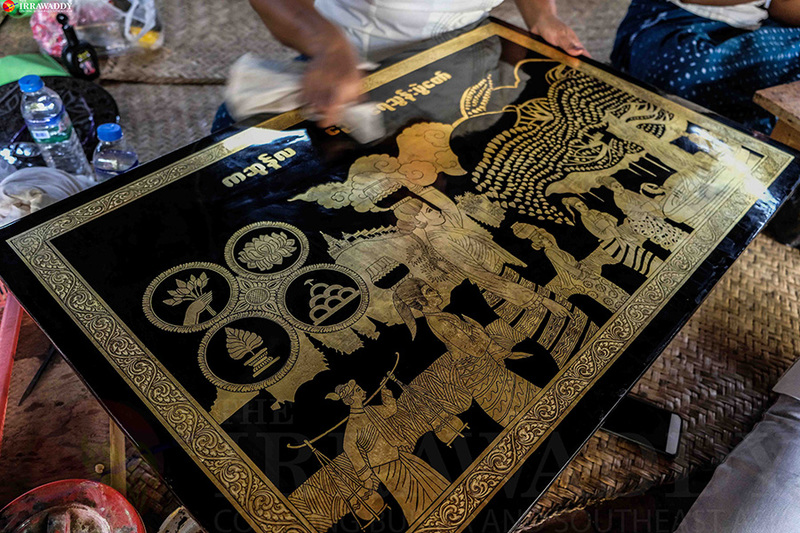 Traditional Myanmar lacquerware typically employs only three colors — red, blue and green — though some shops also use gold paint, raising the price of the final product. And when applying the colors, only one can be added at a time. Lacquerware can be applied to anything from bracelets, rings and necklaces to boxes, trays and furniture. The process involves seven steps in all and at its best can take up to six months to a year for a single item, earning its price tag. 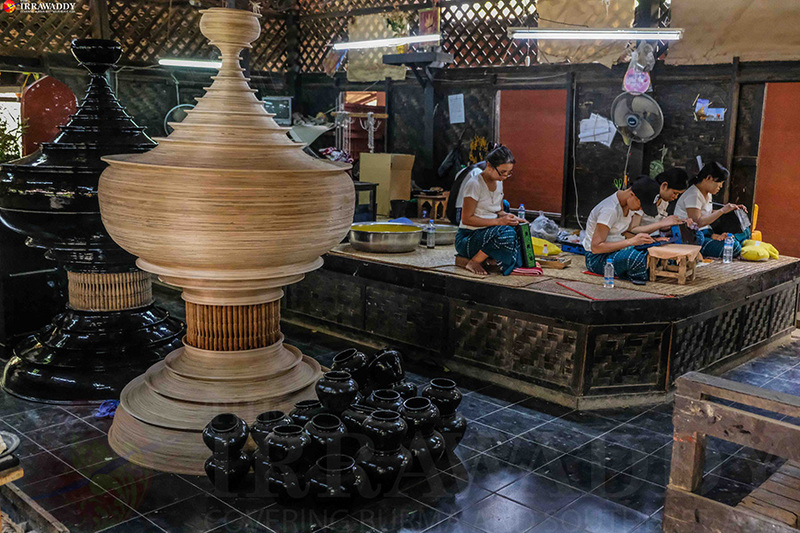 I learned about the process at the Bagan House lacquerware workshop and would encourage any visitor to Bagan to stop by this or any of the area’s other workshops for a lesson on one of Myanmar’s best-known handicrafts. It’s worth it.